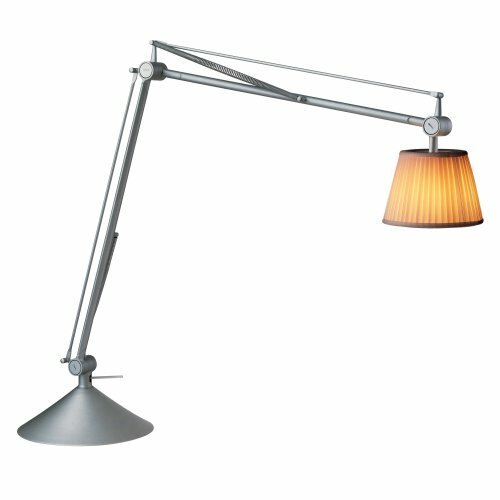 The Archimoon Soft - Foot by Flos is a desk lamp with bonds of times past. The shield of the Archimoon Soft - Foot reminiscent of classic desk lamps. The symbiosis of this design element with the practical lighting structure is done in Flos Philippe Starck design effortlessly. Conclusion: A desk lamp that makes an equally fine figure in the processing of the new project as an element of a modern residential staging.